Start where you are. Feed yourself. Do your best, and then let go. Be helpful. Slow down. Don’t be afraid of food. This week on Eat Your Words, Cathy Erway is in studio with Alana Chernila, author of The Homemade Kitchen: Recipes for Cooking with Pleasure, talking why home cooks shouldn’t stress the small stuff and why it’s so important to try new things in the kitchen. 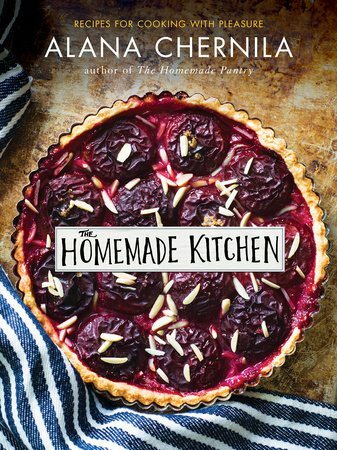 In The Homemade Kitchen she exalts the beautiful imperfections of food made at home and extends the lessons of cooking through both the quotidian and extraordinary moments of the day. The book also covers a globe’s worth of flavors and includes new staples (what Alana is known for) such as chèvre, tofu, kefir, kimchi, preserved lemons, along with recipes and ideas for using them. Thinking of giving original gifts this holiday season? Tune in for great ideas!